Our longtime client, Charlotte Hungerford is now part of the Hartford Healthcare System. 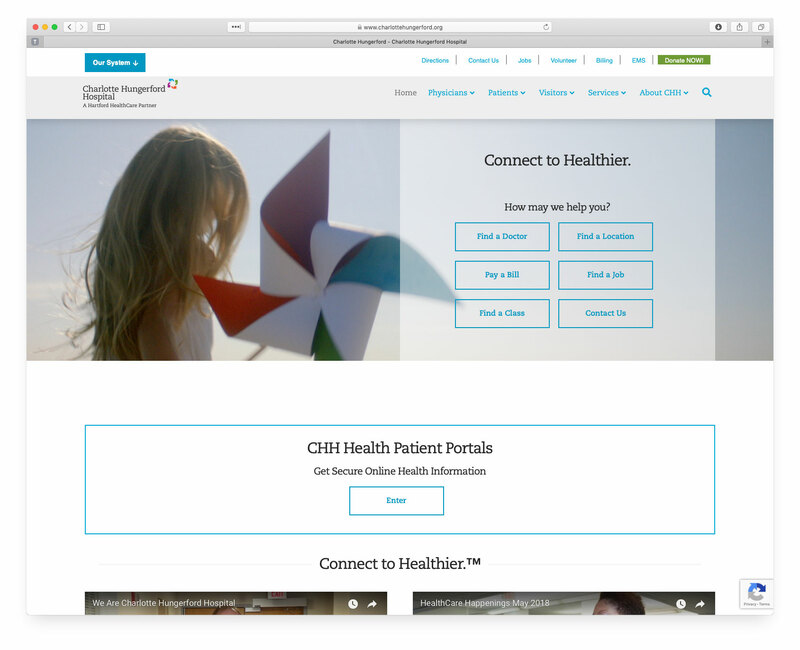 WWWebTek was tasked with rebranding the Charlotte Hungerford website to align with the branding of the many hospitals who belong to the Hartford Healthcare System. 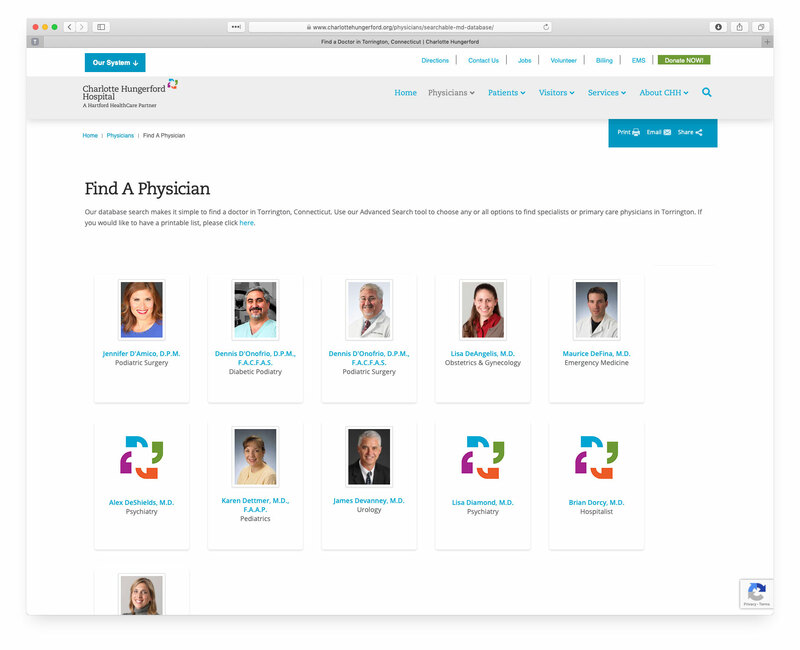 Our team worked closely with the Marketing and IT departments to achieve this goal, and handed off the project to the Marketing team who put the finishing touches on the site. WWWebTek is there to support any initiatives Charlotte Hungerford requires in the future. 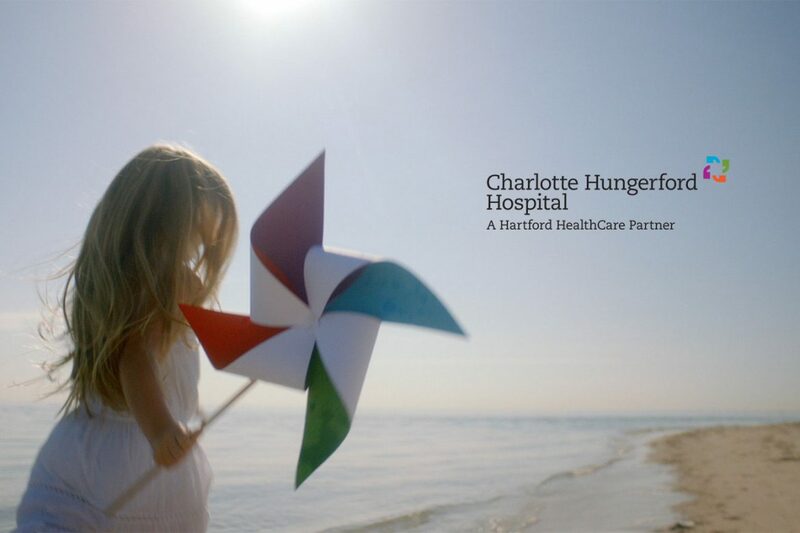 At The Charlotte Hungerford Hospital, you can expect that over 1,000 dedicated employees, physicians and volunteers will be working tirelessly to ensure you receive excellent medical care in a safe setting. As the premiere healthcare provider in northwest Connecticut, Charlotte provides quality, compassionate and cost-effective services that continually meet and exceed our patient needs. Each member of the CHH family is ever mindful of your expectations, and will always strive to meet them. We are your community hospital, and you are our reason for being!